Newark is New Jersey’s most populous city and a major transportation and shipping hub–and it’s just eight miles away from Manhattan. Newark has incredible access to practically everything you might be interested in: arts, shopping, entertainment, employment, education, and more, making it a great place to settle down on the East coast. 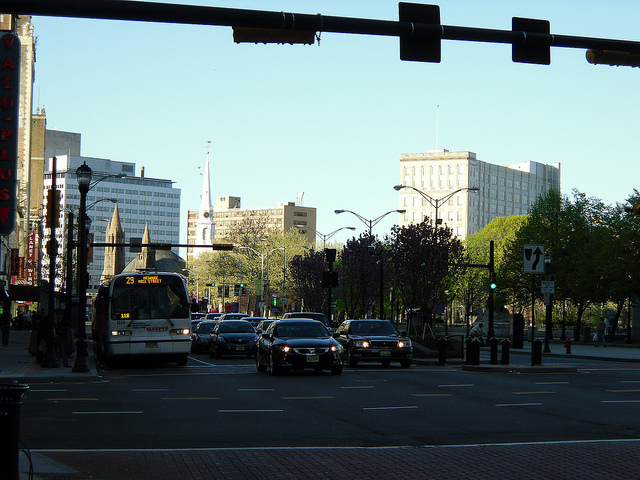 As such a great place to live, Newark is currently enjoying a strong housing market. Homes are selling for higher prices and listings and sales are up. Often, homes are selling as quickly as they can get on the market. It’s a promising market both for sellers and buyers, but doing well in this kind of market can be tricky. Sellers need an experienced Realtor that can help them price and market their home for the best exposure and return on investment, and buyers need a Realtor that’s quick on the draw and connected so they can jump on properties before they’re gone. We recommend sticking with an experienced, proven Realtor for your next real estate transaction in Newark. We’ve highlighted 15 of the best Realtors Newark has to offer: they have years of experience in the market, happy clients, and a dedication to help you do the very best in Newark, whether you’re buying, selling, or investing. Our top Newark Realtors are listed in no particular order. We’ve avoided ranking them because we want to hear from you which one is the best. Vote in our poll at the end of this article to let us know which of Newark’s best Realtors has your vote! But don’t delay: the poll will close in 30 days. A Realtor for more than 19 years, Manny Rosa obtained his real estate license straight out of high school. Raised in the business by his parents, who are both Realtors, real estate has long been a part of Rosa’s life. Rosa has a passion for real estate, and it’s evident in his happy clients and long list of achievements in the industry. He has received the New Jersey Circle of Excellence Award several times, including the Platinum Award in 2008. Rosa has also earned a number of designations and certifications, including Short Sales & Foreclosure, e-Pro Certified, Broker Price Option, Certified HAFA Short Sale Specialist, and Certified Distressed Property Expert. Clients love that he’s always available and happy to work in a timely manner. They say he makes real estate as easy and simple as possible, and is an expert negotiator. A dedicated, hard working Realtor, Claire Lawrence is tireless in her commitment to serving clients in the Newark area and beyond. She has more than eight years of experience and loves to be out in the field showing listings, meeting over coffee to discuss real estate, and working with other Realtors to help her clients buy or sell homes successfully. Lawrence’s clients note how easy she made everything for them with her responsive professional service. Plus, they appreciate that she’s able to offer recommendations for contractors and other services while keeping in touch after the sale. Della Walker is managing broker at Group Twenty Six, where she specializes in distressed homes, luxury homes, first time home buyers, and residential sales. 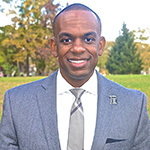 Walker is results oriented and a creative, critical thinker who does well under pressure. She holds a number of real estate designations including Accredited Buyer’s Representative, Short Sales and Foreclosure Resource, and e-Pro Certified Internet Professional. Clients say that she’s extremely familiar with the local market and her guidance is invaluable. 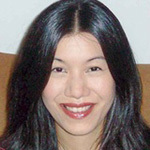 Judy Chin offers expert relief to so many of her clients. As a short sale and foreclosure prevention specialist, Chin is able to help home owners in difficult financial situations understand their options and work to find the best outcome. Her clients say she is dedicated and driven to help them succeed and always very patient and knowledgeable. For nearly 15 years, Daniel C. Cuco has specialized in real estate. 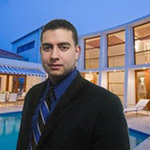 He focuses on the achievement of goals, helping his clients realize their dreams in real estate. Cuco is always excited to help explain details and work with his clients every step of the way, whether you’re a first time home buyer or working on developing investment property. Cuco’s clients say he is reliable, dedicated, and always willing to answer questions and go the extra mile. 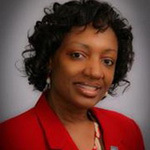 Cynthia Jordan has more than 18 years of experience buying and selling real estate. 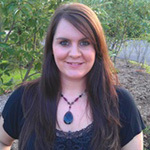 Currently, she specializes in strategic marketing for home owners, which extends exposure beyond what’s normally offered. She has a passion for results, and has a long list of happy clients she’s delivered for. Jordan’s clients appreciate that she is both professional and personal, and how quickly she is able to communicate with them. They often say they feel like her only client! 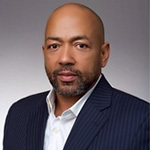 With more than 17 years of experience in real estate, John Johnson III is a knowledgeable, helpful resource whether you’re buying, selling, or investing in Newark real estate. 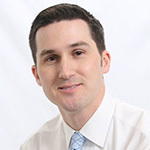 He’s committed to providing his clients with the tools they need to buy or sell homes, with a particular strength in marketing and negotiating strategies. Clients are always excited to point out that he’s proactive, very knowledgeable, friendly, and patient. Turn to Frederico Viegas for the highest level of expertise in the local Newark real estate market. 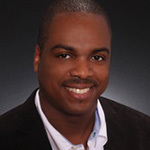 He has considerable experience in buying, listing, short sales, and staging, and is an expert in helping clients buy the homes of their dreams. Viegas is happy to help clients understand every step of the buying and selling profess, and he has a great track record of delivering positive results. Clients are impressed by how well he is able to sell and locate homes, offering quick real estate transactions whether you’re buying or selling. They say he is one of the best professionals available in Newark real estate, and that he’s knowledgeable and always helpful. 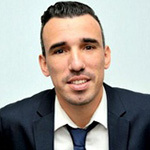 Olivier Louis has more than 11 years of experience in real estate, and he’s prepared to helpfully guide families through important real estate decisions. He recognizes how personal each real estate transaction is, and is prepared to earn the trust necessary for clients to rely on him to help them make this important step in their lives. He listens carefully to their needs, provides excellent service, and delivers on the opportunity to achieve milestones together. Louis’ clients say he’s the best Realtor they’ve ever worked with, and that he delivered an awesome experience for them. 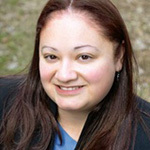 Loida Jimenez is dedicated to providing her real estate clients with the best service available. She serves first time home buyers, relocating buyers, short sales, and even international real estate. She uses innovating marketing and advertising techniques to ensure homes are attractive to potential buyers, and constantly researches the market and property values for effective pricing. Plus, she is bilingual and able to serve both English and Spanish speaking clients. She is a Graduate of the Realtor Institute, an Accredited Buyers’ Representative, ePro, Certified International Property Specialist, and a Seniors Real Estate Specialist. Her clients say she is dedicated and detail oriented and always willing to give her clients her full attention. They appreciate that she makes the home buying or selling process pain free. A professional, full time Realtor with more than 16 years of experience, Maria Morrison Heningburg has the knowledge and commitment to help her clients with every real estate transaction. She is committed to supporting her clients as they achieve their real estate goals, and works hard to ensure that she delivers the best service possible. Heningburg offers the best of both worlds with old fashioned customer service paired with modern technology and current market knowledge. Her clients rave about how she listens to their needs, offers patience, responsiveness, and a willingness to answer all of their questions — even several times. Obsessed with the details, Francis Thurman is dedicated to doing things right the first time for each of his clients. His integrity as a Realtor means he takes responsibility to getting deals closed the right way — and making things happen the way his clients want them to. Thurman is always happy to go over the details to help his clients move forward and prepare for the unexpected. His clients, from first time buyers to experienced sellers appreciate his extensive patience and commitment to helping them make the right decisions. 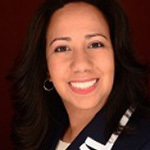 With more than 10 years of experience in real estate, Gabriella Borges is an expert in marketing and real estate sales. She is particularly skilled as a listing agent, marketing homes for maximum exposure online. 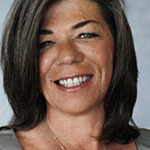 Borges is also an excellent buyers’ agent, as she is relentless in finding her clients the homes of their dreams. Clients appreciate her honest opinion of homes. vast knowledge of home construction and maintenance, and her motivation to make deals happen quickly and profitably. James Hughes specializes in selling, buying, and leasing residential and commercial property. He is especially talented at helping first time home buyers and managing complex negotiations. In 2014, Hughes received the New Jersey Association of Realtors Circle of Excellence sales award, thanks to his excellent track record of results. 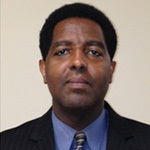 His professional real estate designations include Accredited Buyer’s Representative, Certified Distressed Property Expert, Short Sale and Foreclosure Resource, and Broker’s Price Opinion Resource. He currently serves on the board of the North Jersey chapter of the National Association of Hispanic Real Estate Professionals and the New Jersey Realtors Equal Opportunity and Cultural Diversity committee. Clients appreciate his attentive service, professionalism, and responsiveness, and say he knows the market better than anyone. Known as “Ms. Gadget” around the office, Audeliz Angie Perez is a Web 3.0 agent specializing in tech savvy marketing and sales in real estate. She has a proven track record of selling homes quickly with the help of technology, and excellent experience in all types of home sales in New Jersey. Clients love her professionalism, knowledge, and ability to explain the process. They also appreciate that she is always reassuring and quick to follow up.